Oppo Find X Official Press Render and Full Specifications Leaked - Playfuldroid! On June 19, Oppo will be debuting its first flagship phone after the Find 7 smartphone that was launched in 2014. 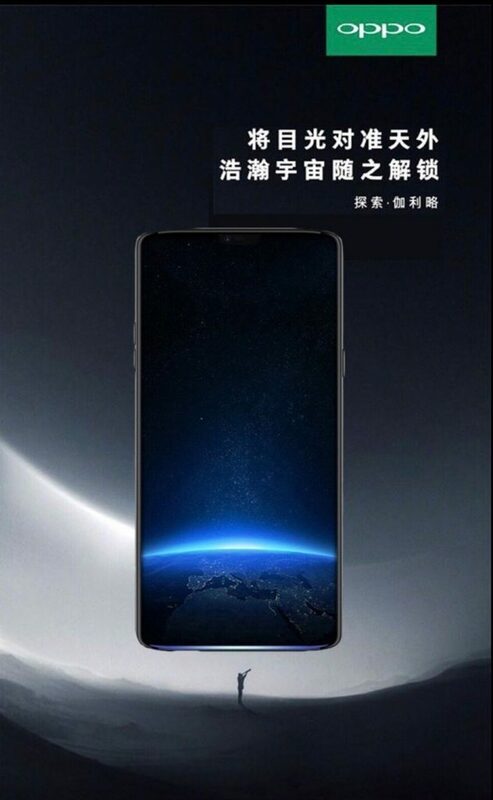 The Find X phone that is slated to debut next is expected to arrive with advanced features such as 3D facial identification, in-display fingerprint scanner, 5x loseless zoom, Super VOOC fast charging and support for 5G connectivity. Today, a reliable tipster from India has shared the entire specifications of the phone. The Snapdragon 845 chipset powers the phone with 8 GB of RAM. The new leak reveals that the Find X has 128 GB of inbuilt storage which corroborates with the information from its TENAA listing. Oppo has confirmed that the handset features a native storage of 256 GB through a recent teaser which suggests that it will be arriving in 128 GB and 256 GB storage variants. The Find X phone will be coming with Android 8.1 Oreo that is flavored with Color OS 5.1. It features 16-megapixel + 20-megapixel dual camera setup with f/2.0 apertures. The front-facing camera of 25-megapixel has an aperture of f/2.0. It includes a 3,730mAh battery to keep the lights on.